« Life is Metamorphosis Who Will You Become? In our anthem are the words “We are young and free” and importantly “Advance Australia Fair” – are we doing that for the indigenous is an important question given the Deaths in Custody, the Stolen Generation, White Australia Policy and so on. Are we being fair to a child who is in a democracy when we are unkind to her and her family? Is that fair? Or do we ask her more about why she felt moved to not stand up (metaphorically she is), what she wanted to express and what she would like to see happen? When I travelled my beautiful country alone I felt how incredible this land is, so ancient. I contemplated the stewards here for 50,000 years, we were only here 200. I puzzled over how they could survive in such harsh conditions and the fact they had mapped this country, they literally have names for every part of this country, very sophisticated. I sat at Uluru and recall asking for a sign from indigenous if I am not to climb the rock (give a sign). That night I dreamed indigenous women came to me and impressed on me to walk the base. This I did with respect and sat very still imagining their peace that mirrored the deep peace in this land (no wars here). I also recall driving into Fitzroy Crossing and saw them sitting under a tree, I felt I was in someone else’s country, they belonged here. I felt that. I didn’t feel this was not my home, it is, I just felt their heritage as ancient and one with the land. I am still learning. Other words that came to me were to do with having “boundless plains to share” and reflected on refugees, plenty of space for them to share with. I remember feeling this driving on Australia Day. Other words to contemplate “with courage let us all combine” means unity. Unity cannot be forced or indeed brainwashed with unquestioned allegiance, it is to unify in our values. Values in my view inclusive of: Responsibility, Empathy, Awareness, Love, Honesty, Oneness, Peace, Enjoyment and Service. This gives me REAL HOPES for the future of real sovereignty. It is not in flags and songs that we find our common wealth, it is in shared values that these objects, sentiments express. I love this little girls courage. I am impressed. My only allegience is to truth and love and I love my country and its incredible people. If a child’s truth is to stand for those she feels are not treated fairly she has made her first declaration of independence. The flag and anthem is about freedom. To live it is to embrace all views and in the case of a child, go lightly as she is sensitive and could be hurt. It takes courage to stand up and out of the crowd. This is my opinion about Advancing Australia Fair for the young people. I am all for freedom of speech. That is democracy. There will be more young ones SPEAKING UP as they Question the dishonesty of the adults. 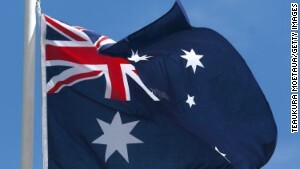 (CNN) A 9-year-old Australian girl who refused to stand during the country’s national anthem out of respect for the nation’s Indigenous population has been attacked by prominent politicians, who called for her to be kicked out of school. 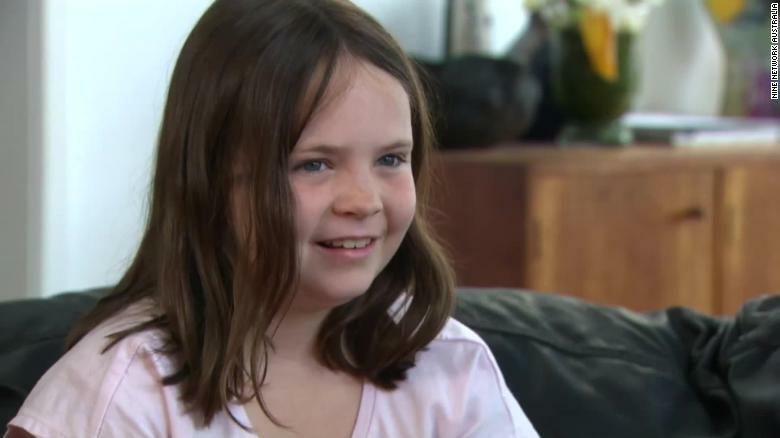 A NINE-year-old girl has been threatened with suspension and given detention because she refuses to stand for the national anthem. Speaking to CNN, Mark Nielsen, Harper’s father, said he was “amazed and proud” of his daughter over how she had handled the initial protest and then the ensuing national controversy. “(I’m) amazed at her capacity for seeing things that don’t feel right and having the strength to try and right them. I don’t have that, so to see someone so young is really astonishing, and I’m just incredibly proud,” he said. Nielsen said his family had been overwhelmed by the positive responses they’d received from across Australia, including the indigenous community, but added there had been some hate mail as well. Still, he said their critics had the right to their opinions. “People can say what they want. Calling her a brat without having actually met her seems a little weak-minded but again, I defend their right to be free to say what they feel,” he said.